It is unfortunate for more than 160 million subscribers to the Global system for Mobile Communications (GSM) in Nigeria that the regulatory systems, specifically the Nigerian Communications Commission (NCC) and the Consumer Protection Council (CPC) appear to have turned deaf ears to persistent complaints about poor customer service of all the GSM providers in the country. There have been so many colloquia and town halls on poor customer service. The operators have been commanded to desist from so many bad practices including unsolicited promotion messages, outright truncated calls and now mediocre data services. Who really has been addressing the persistent issue of expensive tariffs when compared to smaller jurisdictions? Curiously, the regulators only celebrate their exploits when sensational fines are imposed on big issues of political import such as alleged Transfer Pricing – when capital is illegally transferred from the country to another. But the organic issue in the customer-centric business – the customer service – has always been left unattended to. This is unconscionable in the extreme for the country. According to reports, the GSM operators in Nigeria have over 161 million subscribers, which means that telecommunications service is a mass product with mass customers, dealing with billions of dollars. And so, their customers cut across various demographic groups. These customers are the important ‘guests,’ ‘friends,’ ‘kings;’ the centre and focus of their businesses and the reasons for their being. So, the customers are not dependent on the telecommunications companies, the companies are dependent on them. Therefore, the companies are not doing them a favour by serving them, rather the customers are doing the companies a favour by giving them the opportunity to do so. No doubt, the customers are people who, driven by self-interest, have the choice of coming for your product and service or go somewhere else. 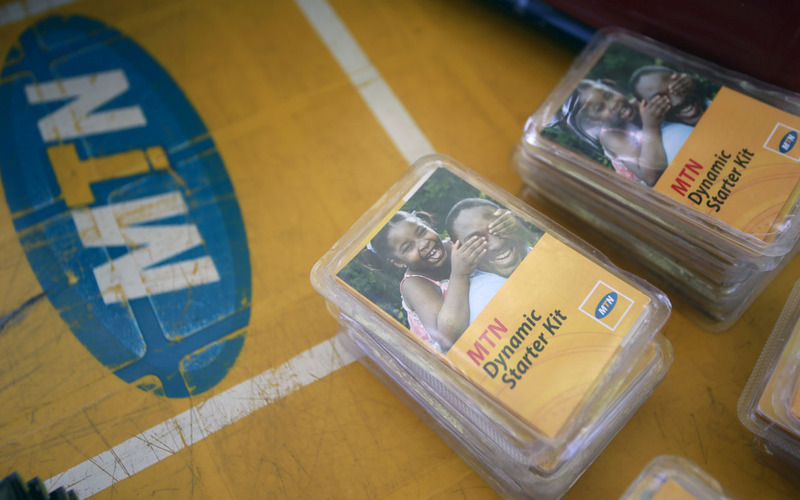 Notwithstanding, it appears that the telecommunications operators have conspired to inflict untold pains on millions of active GSM subscribers in Nigeria, because daily Nigerian telecommunications customers experience dropped calls, aborted short message service (SMS), opaque charges, poor audio quality, unavailability of service in some locations, lines jamming and futile attempts to make calls. Essentially, customers are not getting value for the bills they pay to the telecom operators. While subscribers have been piling up complaints over these lingering failures, the operators have been claiming that they have invested heavily on facility upgrades, infrastructure rollout, among others. However, the investments seem not have had significant impact on their quality of services as customers are still grappling with poor quality service. In the search for solutions to resolve some of the challenges that they face, millions of customers place call to the customer centres of the telecommunications companies, which has also thrown up the secondary problem of long periods of hold on calls because the call centres prioritise calls from high-net worth individuals regarded as platinum customers; the other categories being gold and standard, perhaps for the convenience of account management by the service providers. Calls to customer centres of the telecommunications companies by each category of customer are prioritised. The platinum category is high-networth and receives premium service; while gold category is prioritised ahead of the standard. As such, many subscribers in the standard category have been lamenting their inability to reach call centre agents via the designated numbers provided by network providers. The question now is why should the customer, who is the king bear the brunt of service providers’ convenience? This is bizarre because telecom services in Nigeria are paid for and the customer remains the king! So, while it is a common business practice to prioritise customers that generate more revenue for businesses based on the Pareto’s principle, which says that “the top 20 customers are responsible for 80 per cent of the revenue,” it is important for telecommunications companies in Nigeria to ensure that all customers irrespective of the amount they bring in for the organisations get quality service. The above scenario is not exclusive to the telecom sector, which is supposedly competitive, because generally Nigerian customers across all sectors are taken for granted. 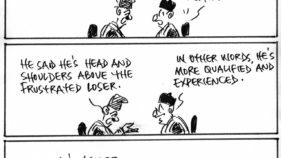 Essentially, service excellence is not a common thing in our business environment because service providers do not think Nigerians deserve quality service. Those who are placed as front line staff in some service points are not properly trained in the culture of excellent service. So as Nigerian customers have ‘no right’ and are not respected, despite the fact that they are the wealth creators of the businesses. This is a national tragedy! Duty bearers and boardroom gurus in Nigeria should realise that quality customer service will improve our quality of life and economy and so should obey this clarion call for institutionalising service excellence. Hence, the need for total quality service and seamless service delivery in the public and private sectors. So, ServiCom, Consumers’ Protection Council of Nigeria (CPCN) and other relevant regulatory bodies as applicable, should rise up to this occasion to ensure that all sectors are customer centric and should have actionable service delivery road maps. The road maps should spell out terms of engagements. Every service staff in the various sectors should have a name tag; organisations should have notice boards and arrows to show direction on who and where to go to, customers bill of rights, feedback mechanisms, complaint platform and how to escalate complaints, train and retrain service providers, especially frontline staff on service excellence, and invest more on infrastructure and technology, deploy technology enabled platforms for seamless service delivery. While the use of small print gratifications for crafting leaflets, enclosures and service agreements/rules that make life difficult for the customers without corresponding services should be revisited as they disenfranchise the customers when conflict arises. In addition, service excellence requires behavioural development and must be ingrained as a culture in school curriculum; and be made a national culture to strengthen the office of the citizen in the equation of service excellence. Also, consumers must adopt the culture of complaints by writing letters to the editor and by voicing their concerns on various consumer parliaments and social media platforms; while organisational culture change should be continuous not a one-off activity. 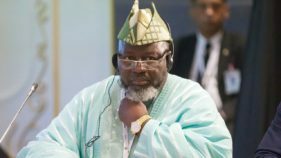 Specifically on telecom, the House Committee on Telecoms, Nigerian Communications Commission (NCC) should sanction operators with poor services and ensure compliance because it is appalling that after about 17 years of telecoms revolution in the country, the incidence of poor service is still a recurring decimal. Also, the joint committee recently formed by the NCC and Consumers’ Protection Council of Nigeria (CPCN) should rise up to the occasion so that customers irrespective of their category get better services. Similarly, they should ensure that telecom operators are more transparent in their charges and are more responsive in their customer service. The telecom operators should give Nigerian customers quality service as their parent companies in other climes by improving on the turn around time (TAM) for resolving customers complaints, treating each complaint on its own merit by granulating customers’ complaints in order to contextualise solutions and should continuously invest on facility upgrades. Specifically, telecoms industry regulators should rise up to their responsibility to the citizens as customers. They should be regulators indeed.